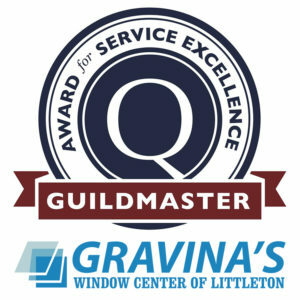 Gravina’s Window Center of Littleton is proud to be a leading window replacement company in America. We serve a vast area including Broomfield—and it’s allowed us to satisfy 1000s of homeowners during our 45+ years in business. Our A+ BBB rating and Angie’s List customer testimonials speak for themselves. Ok, enough about us. We want to help you. Your home is your biggest asset and we can help you with your window and door pain. Take advantage of our free in-home window consultation and price quotes to see what we can do for your Broomfield replacement window project. We’ll care for your project from start to finish - from the initial measurement to the window installation, paint, stain, and warranty service. All of our windows are custom-manufactured for our customers, allowing our homeowners the freedom to design the windows of their dreams. Whatever window or door our customers in ultimately select, the quality and value of our windows make for a dramatic improvement in curb appeal and energy efficiency. Give us a call at 303-794-0490 or email us today to get started. Or stop by our Littleton showroom to view some of our windows or doors and ask any questions you have. We’d be happy to get your window makeover started! Our main showroom is located in Littleton, but we provide services to residents all over Broomfield.